Healthy Markets Association today announced that Professors James Cox and J. Robert Brown, Jr. have joined its Board of Directors. “The U.S. enjoys the deepest and most trustworthy securities markets in the world. They are not only a national treasure but essential to the vitality of the U.S. economy,” said Professor Cox. 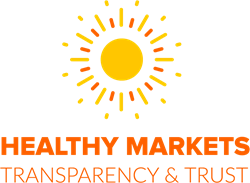 Healthy Markets Association today announced that Professors James Cox and J. Robert Brown, Jr. have joined its Board of Directors. Professors Cox and Brown, who are joining the Association as disinterested directors, will be providing strategic guidance and subject matter expertise to the Board and the executive team. The addition of Cox and Brown comes at a crucial time for Healthy Markets, as it looks to build its membership and develop its core initiatives, focusing on ATS Transparency, Metrics and Accreditation, and the Healthy Markets Research Institute. James D. Cox is Brainerd Currie Professor of Law at Duke University School of Law. Professor Cox earned his B.S. from Arizona State University and law degrees at University of California, Hastings College of the Law (J.D.) and Harvard Law School (LL.M.). In 2001, he received an Honorary Doctorate of Mercature from the University of South Denmark. In addition to his texts Financial Information, Accounting and the Law, Corporations (with Hazen & O’Neal), Business Organizations Cases and Materials (with Eisenberg), and Securities Regulations: Cases and Materials (with Hillman & Langevoort), Professor Cox has published extensively in the areas of market regulation and corporate governance, as well as having testified before the U.S. House and Senate on insider trading, class actions, and market reform issues. He served as a member of the corporate law drafting committees in California (1977-80) and North Carolina (1984-1993) and a member of the ABA Committee on Corporate Laws. He has also served as a consultant to the Kingdom of Saudi Arabia and more recently, conducted training programs for securities regulators in Bosnia, China and Thailand. His professional memberships include the American Law Institute, the PCAOB Standing Advisory Group, NYSE Legal Advisory Committee, the NASD Legal Advisory Board, and the Fulbright Law Discipline Review Committee. About Professor J. Robert Brown, Jr.
J. Robert Brown, Jr. is a Professor at the University of Denver Sturm College of Law, the Director of the Corporate & Commercial Law Program at the law school, and serves as the Secretary to the SEC’s Investor Advisory Committee. He has written extensively on corporate and securities law subjects, including a textbook on Corporate Governance and a book on corporate disclosure (The Regulation of Corporate Disclosure). Several of his articles that have been cited by the US Supreme Court (including one in Basic v. Levinson, the seminal case on materiality under the antifraud provisions). Professor Brown has advised foreign governments on corporate and securities law reform, serves as an arbitrator for FINRA, and has been the primary drafter on a number of amicus briefs on behalf of law faculty in cases before the US Supreme Court, including Merck, Matrixx and Omnicare. Among his outside activities, Professor Brown is the chairman of the board of directors of the Colorado Coalition for the Homeless. Healthy Markets is a not-for-profit association of institutional investors working together with other market participants to promote data-driven reforms to market structure challenges. Our members, who range from a few billion to hundreds of billions of dollars in AUM, have come together behind one basic principle: Informed investors and policymakers are essential for healthy capital markets.